How do I log in on Soompi app? How do I edit or delete my comment? Why is my comment deleted? Soompi's goal is to foster a positive, smart, fun community for all Soompiers and fans of K-pop and K-entertainment. While the team actively moderate the comments section to ensure it is kept a safe space for all, due to the volume of comments posted to each article, we still need fellow Soompiers' help to report comments you find inappropriate. Soompiers should feel empowered to flag comments that are in violation of the Soompi Community Guidelines. Flagging a comment is entirely anonymous to the rest of the Soompi community. *Note: The flag feature is currently available on web browsers on Soompi.com only. How to flag a comment? 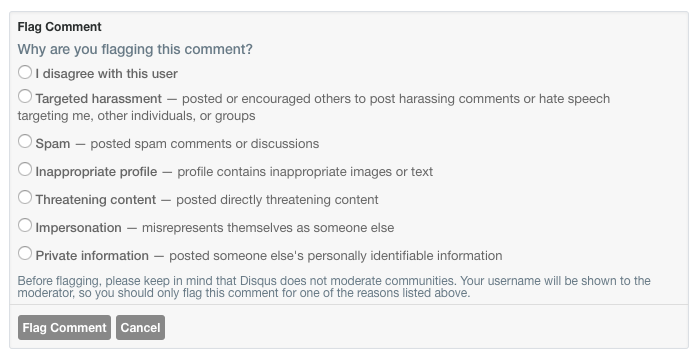 What happens after I flag a comment? Once a comment is flagged, the Soompi team will be notified. The flagged comment(s) will be reviewed within 24 - 48 hours, and actions will be taken against comment(s) and/or user(s) who violate the Soompi Community Guidelines. Due to privacy reasons, the Soompi team will be unable to share the results of each report.